The premiere of One Love: The Bob Marley Musical, a new musical focusing on a defining period of global legend BobMarley’s life and career in the 1970s, will open at Birmingham Repertory Theatre in March 2017. Cedella Marley said: “On behalf of the Marley family I am thrilled that our father’s story is going to be brought to the stage with this production. Birmingham is a natural place for its UK premiere. With its great mix of cultures, it’s a city where my father performed to audiences that were captivated by his presence, and we have no doubt that telling the story through music to a new generation in Birmingham will be part of his continuing legacy. " One Love: The Bob Marley Musical tells the story of a man propelled from rising reggae star to global icon, and brings Marley’s inspirational music catalogue to the stage for the first time. To help unite his beloved homeland Jamaica, which is on the brink of a civil war, he must first find his own peace. Following an assassination attempt made on the eve of a concert organised to calm political tensions in an increasingly violent Jamaica, Marley left Jamaica for London where he spent almost two years in self-imposed exile. 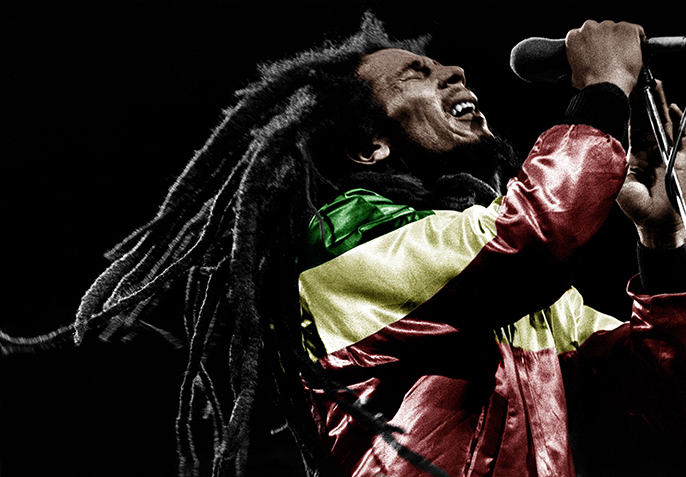 Whilst in England Marley recorded the internationally acclaimed albums Exodus and Kaya, the former staying in the British album charts for fifty-six consecutive weeks. In 1978, Marley finally returned to his beloved Jamaica, where the political situation had deteriorated, to perform the One Love Peace Concert. During the performance, at the insistence of Marley, the leaders of the two opposing political parties came on stage, where he joined their hands in symbolic unity, resulting in a profound and transformative moment in the history of this country’s difficult political journey.